Bartek about his first (seems like a good one) musical meeting with The Woken Trees and their debut album "NNON". 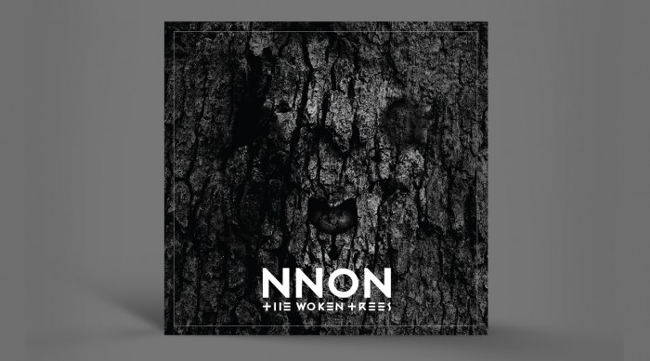 The Woken Trees is a group I didn't know absolutelly nothing about, before I listened to "NNON". I knowledge was "0" to the level that I didin't even know what music should I expect to hear - maybe somebody will start to rap, maybe there will be electronic beats, metal thrashing sounds or maybe... something totally different. All I could do was to turn on the music and see what happens... Here it is, it starts. Dark, disturbing music, reminding me a littleSonic Youth, a little Joy Division. Crooked rhythm, creaky guitars and a bit backed, deep male vocals. It drags you in! Music intrigues more with each song, it makes you can't stop listening to it, you want more and more. Even though it's something very similar to what you've hear so many times before. The sound of The Woken Trees hypnotizes, especially in songs like "Orders" and "Yells". Steady rate and looped guitar riff absorb all your attention and make you feel like you were travelling in the cosmic space. The further into The Woken Trees musical forest, the darker it gets. "Children of Chalk" or "Open Wounds" remind me of Bauhaus at their best times. What we hear on "NNON", is definitely a clear fascination with the 80's. In this band everything fits to itself and even if something gnash, crashing down or doesn't really harmonize, it looks like very well thought. This is a trully good thing for those of you who likes custom philosophy of making rock'n'roll music. I still don't know anything about the band itself, besides the fact that their album will rule my evenings and nights for the next couple of weeks.